Neighbors in Norwood Park call this house "The Sears House". And the moniker is a correct one! This picture-perfect, authenticated Sears Hamilton was built in the fall of 1927. Old-timers say they remember the building materials being delivered by truck to the site (in the Chicago area, Sears delivered materials by truck, rail, or boat). 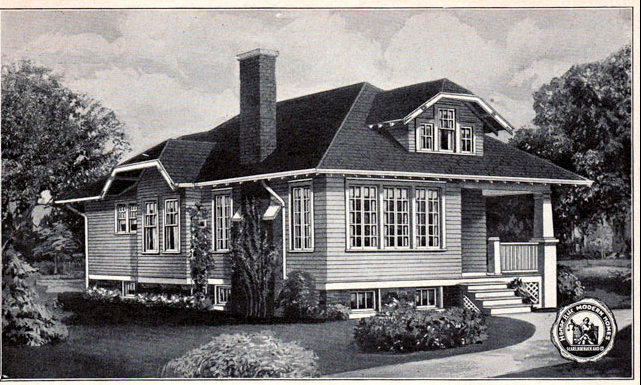 The original owners were Elsie and Albert Sandrock. He was a bill collector for a utility company. Albert built the house with the help of his father, and they began work on Labor Day 1927. Today, the house is still owned by the Sandrock family. This is really a nice one. I love the original details.